The workshop concludes with a Community Forum where attendees can share cybersecurity challenges and success stories in an informal setting. CTSC representatives will be on hand to lead the discussion and answer questions. We invite community members to present short lightning talks during the Community Forum. Contact jbasney@illinois.edu to register your lightning talk topic. View the PEARC17 Schedule for more details on the workshop and other PEARC17 sessions. 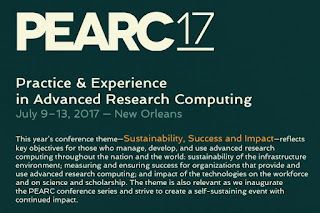 PEARC17 Registration rates increase on June 1, so register early! In an attempt to improve on the security alert service CTSC offers, the Situational Awareness (SA) group within CTSC has recently expanded its monitoring streams and collaborations to include Open Science Grid (OSG) and the European Grid Infrastructure’s Software Vulnerability Group (EGI: SVG). These entities join CTSC’s current collaborations with REN-ISAC and XSEDE in mutually sharing advisories. The immediate benefit of this effort is that CTSC and its collaborators have increased their monitoring channels, enabling a larger window to survey for potential threats to science cyberinfrastructure. This improvement in shared knowledge will better position us, as well as our new partners, to pass on the important alerts to our communities. To register for CTSC SA advisories, see https://trustedci.org/situational-awareness. If you're a member of a trust community that would like to share alerts with CTSC, please contact us at alerts@trustedci.org. 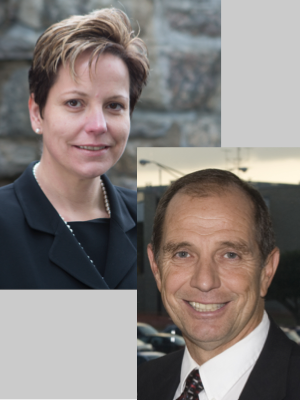 Emily Nichols and Dr. Alec Yasinsac are presenting the two-part talk "Cybersecurity Research: Transition To Practice (TTP)," on May 22nd at 11am (Eastern). The U.S. National Science Foundation Transition To Practice (TTP) program is critical to the successful deployment and realization of value for NSF-funded cybersecurity research. Transition to Practice has been named a priority by the National Science and Technology Council’s subcommittee on Network and Information Technology Research Development (NITRD), since 2011, as the participating agencies recognize the need to see funded research adopted by the operational community and ultimately make a positive impact on society. Currently, a chasm exists between the output of the academic cybersecurity research community, and the operational Information Technology (IT) community, which acquires system prototypes that often result from later stage academic research components and implements them in operational environments as either proofs of concept or in operations. The goal of the NSF TTP program is to enable NSF-funded cybersecurity research to cross this chasm and become an operationalized asset to add value in our nation’s cybersecurity efforts. Internet2 is leading an NSF funded EAGER project to benefit members as together we develop a comprehensive TTP program with the goal of enabling as many NSF cybersecurity grants as possible to transition to practice in an accelerated fashion. Please join us to discuss how together the Internet2 community of NSF funded cybersecurity researchers, IT operations, and institutions including universities, labs, industry members and affiliates can work together to enable the application of cybersecurity research. NSF is offering substantial resources to support TTP efforts, including TTP training for PIs, match-making services, mentoring services, a best-practices repository, and software development resources. A key resource is the SaTC (Secure and Trustworthy Cyberspace) TTP designation. PIs that have mature research results can apply for three year awards up to $500k or four year projects up to $1.2m exclusively to conduct TTP activities. Benchmarking information is frequently used to develop a common understanding of cybersecurity’s status and norms within a community. The purpose of this survey project was to collect, analyze, and publish useful baseline benchmarking information about the NSF science community’s cybersecurity programs, practices, challenges, and concerns. We received 27 responses to the survey including 16 responses from respondents with annual budgets greater than $1M (including 9 responses from the ~25 NSF Large Facilities). We hope the results and analysis provide some benchmarking insight and inspire discussion.